As companies focus on supporting a CX strategy that spans the entire business, they often struggle to make meaningful progress because they haven’t put the needed communications foundations in place. 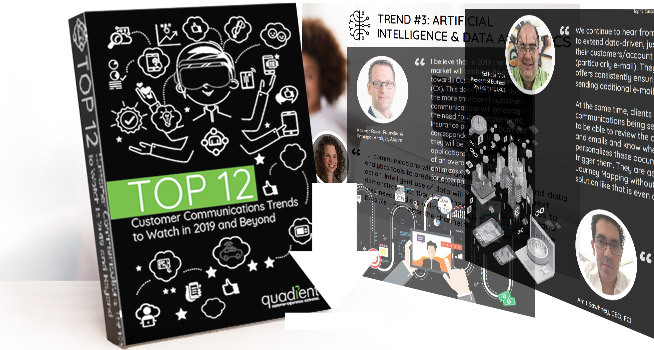 Every moment, around the world, Quadient® is enabling companies to connect with people to deliver great experiences through exceptional, meaningful and personalized omni-channel communications. On Demand Webinar: It was a great decision 10 years ago… will it still be great in 10 years? 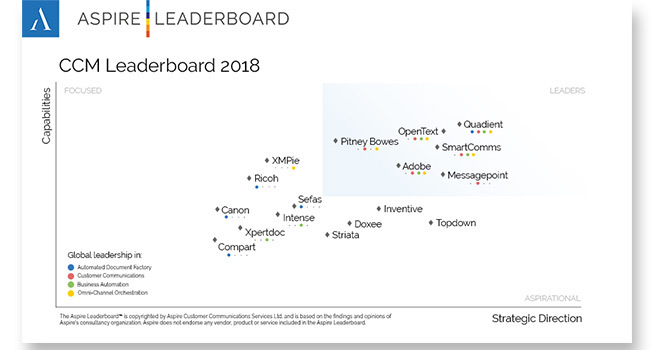 Quadient’s award-winning CCM solution, Inspire, helps companies around the world design, manage and deliver personalized, accurate and compliant communications across all channels, from one centralized platform. Get a complimentary copy of the report here. Quadient’s ability to repurpose legacy applications gave us a risk free, cost-effective solution for highly modernized communications. Quadient has been extremely helpful in showing us the best way to accomplish certain tasks and they had our employees fully trained in less than six weeks. I’ve worked with many providers over the years and Quadient is at the top when it comes to their knowledge and professionalism. The dynamic electronic account statement designed by Inspire is beautiful and informative. Account statements are a bridge between us and our customers. Precision marketing through automatic push advertising enables us to provide customers with relevant product information. Interactive coordination helps us to make whole-process preview a reality, which is really constructive for improving the internal communication and working efficiency of Fubon Bank. We have managed to consolidate legacy systems, both home-grown and commercial, with Inspire. Inspire is the most advanced and reliable CCM solution in the marketplace. The service and document management are extremely well integrated and the solution enables us to help our customers to deliver an exceptional omni-channel experience. 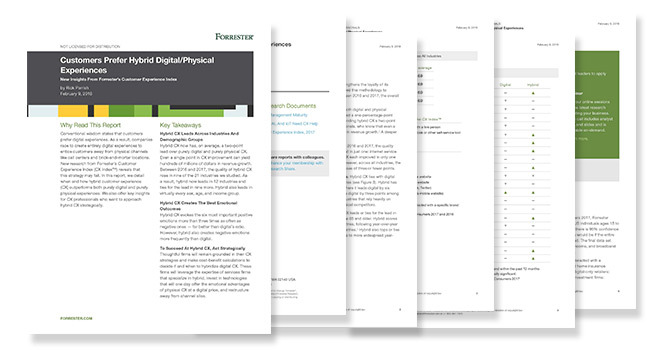 Quadient has independent validation from Gartner and Forrester. 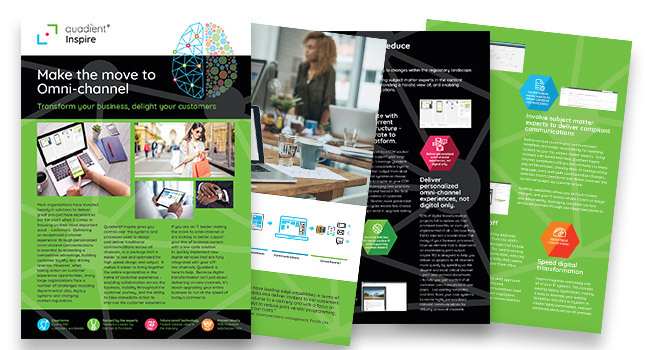 We appreciate the support Digital Advantage Suite and their user community offers. Their product development roadmap demonstrates innovation and a commitment to the future. I have been using Inspire since its inception in 2004 and it is by far the leader in the customer communications management (CCM) industry. I’ve been very pleased with the software. Complex documents are arduous. And your customers' don't care.